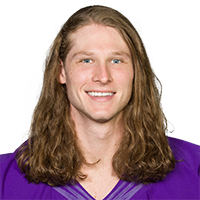 Analysis: Taylor missed the 2018 season with a hip injury, but he'll get another chance with the Vikings this year. 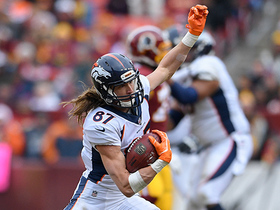 In two seasons with the Broncos, Taylor caught 29 passes for 351 yards and two touchdowns. The Vikings have a talented set of receivers led by Adam Thielen and Stefon Diggs, so Taylor fits in as a depth asset and will need to contribute on special teams. 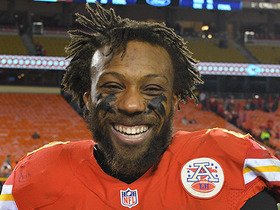 Analysis: Taylor is a restricted free agent but would become an unrestricted free agent if the team doesn't make an offer. The 27-year-old missed the entirety of the 2018 season as he had difficulties in his recovery from hip surgery following the 2017 season. 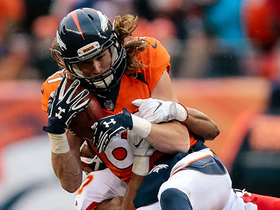 Analysis: Taylor was able to return to practice in mid-October, but the Broncos have determined that he requires more time to recover from offseason surgeries on both hips. The depth receiver will set his sights on a return in 2019. 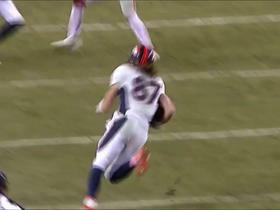 Denver Broncos wide receiver Jordan Taylor 'Mosses' a defender on this tough grab for 30 yards. 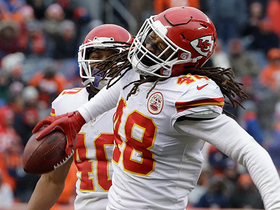 Kansas City Chiefs linebacker Terrance Smith picks off Denver Broncos quarterback Paxton Lynch off tight-window throw. 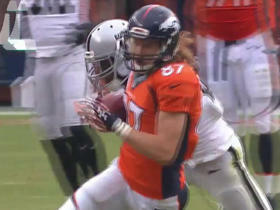 Denver Broncos wide receiver Jordan Taylor sheds multiple tackles to set up the Broncos in field goal position. 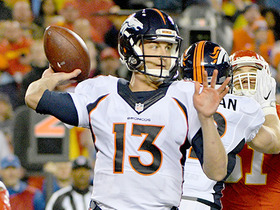 Denver Broncos QB Trevor Siemian uncorks one deep downfield, gets picked off by Kansas City Chiefs safety Ron Parker. 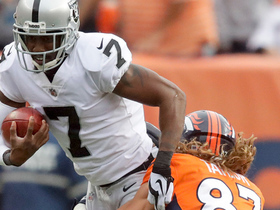 Watch the Denver Broncos special teams stuff Oakland Raiders punter Marquette King on a fake punt. Denver Broncos wide receiver Jordan Taylor makes a nice catch over the middle from QB Trevor Siemian and turns up field for a big 23-yard pickup. 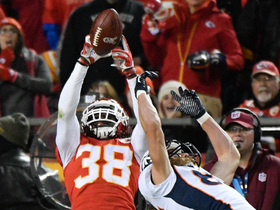 Denver Broncos quarterback Trevor Siemian is intercepted by Kansas City Chiefs defensive back Eric Berry on the game's final play. Denver Broncos quarterback Trevor Siemian finds wide receiver Jordan Taylor for 26 yards. 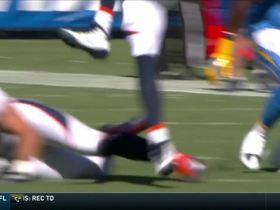 Denver Broncos QB Trevor Siemian attempts a a flea flicker pass downfield to Jordan Taylor but it is broken up by Terrance Mitchell.